Place all of the ingredients in the blender and mix until acquiring a thick consistency. Pour guacamole in a bowl and garnish with an avocado seed and cilantro. Serve with tortilla or pita chips. You can add more lemon juice and sour cream to turn the dip into a sauce that you can use in other dishes like tacos dorados, flautas and sopes. I love avocados. They’re so versatile that you can use them in sweet or savory recipes. Avocado is the star ingredient in guacamole, which you can prepare in many ways. 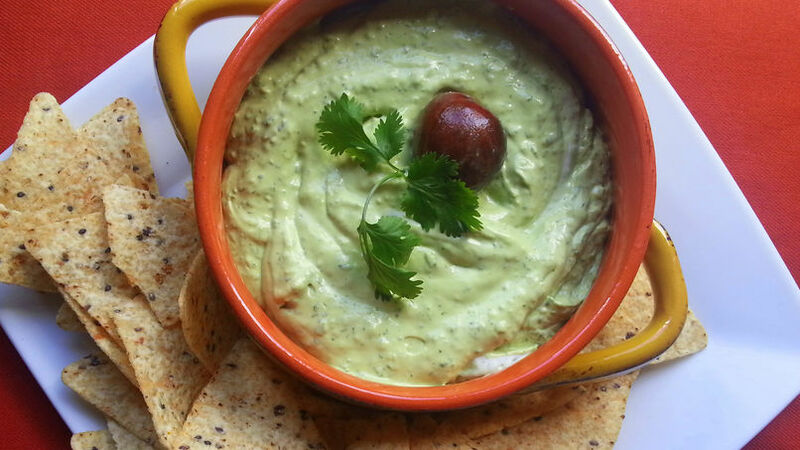 Today I’d like to share with you my guacamole dip recipe that’s sure to become the star at your next party. Let’s get cooking!